Power Clean: The barbell begins on the ground. Touch and go is permitted. No bouncing. The barbell must come up to the shoulders, with the hips and knees fully extended and the elbows in front of the bar. At no time in the movement is the athlete allowed to achieve a full squat. Front Squat: Barbell must be held in the front rack position. At the bottom, the crease of the hips must pass below the height of the kneecap. … At the top, the knees and hips must be completely open with the barbell in control and over the heels. 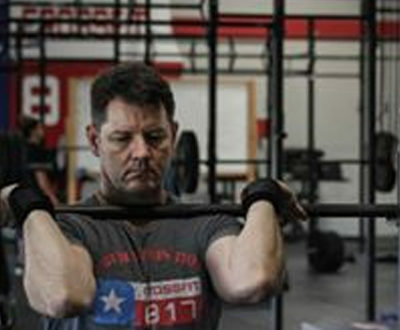 Shoulder to Overhead: This can be a strict press, push press or any form of jerk. 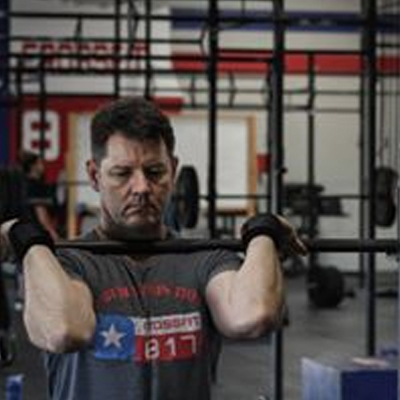 Bar must travel from shoulder height to an overhead position with full lock out of elbows, hips and knees. Athlete must demonstrate control of the bar at all times for the rep to count.